Well, here goes my first attempt at a quick update using my mobile phone. Having shared a litre of Sangria with my wife and taken on the ridiculous task of painting while drinking and putting up with my son’s choice of film on TV (Pitch Perfect 2 – #sigh) here’s what I achieved. 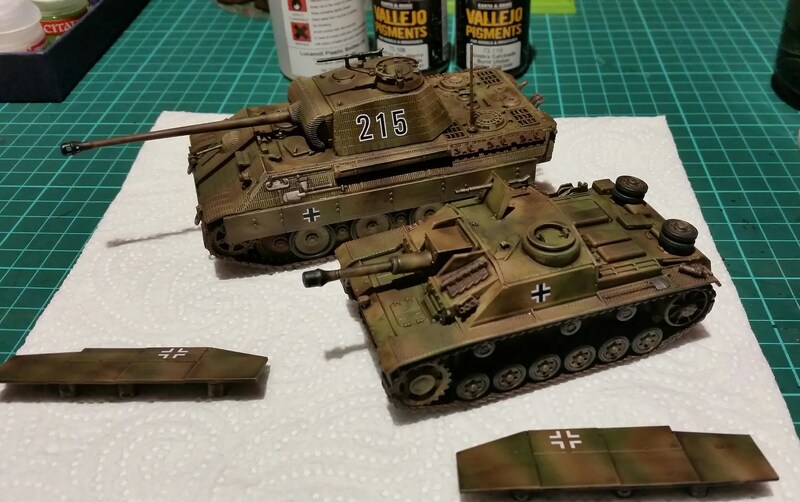 I airbrush painted 2 German tanks, washed them, waited for them to dry and added decals. In the light of day tomorrow I’ll fix any horrendous errors I spot and get the weathering done on them. Pic from painting table via mobile phone.